The search bar is a powerful conversion tool for any eCommerce site. But traditional text-based search has a lot of limitations. Often times a simple spelling mistake or a misinterpreted query can return wrong or no results. Semantic search addresses these issues by using Natural Language Processing and deep learning techniques. It’s superior to text-based search engines because semantic search results are a lot more relevant to what the customer is actually looking for. There are several providers like Celebros and Inbenta who can integrate Semantic search to your eCommerce site. But a large part of your success with this technology depends on how you configure the in-site search engine. Use intelligent spellcheck and autocomplete – our customers will definitely make one or two spelling mistakes while searching for products. Traditional search engines usually can’t suggest alternate spellings or the suggestions might not be relevant. By analyzing previous purchases and search history semantic search can provide relevant suggestion to common spelling mistakes.Another neat thing you can do is show related search terms and provide autocomplete suggestions in the search box. For example, if your customer is searching for TV, then TV wall mount and TV stand are two related search terms. Can’t you do these things with traditional search? Yes, but unlike semantic engines, text-based search engines need to be manually optimized. This takes a lot of time and sometimes becomes impossible to select related queries for each product. 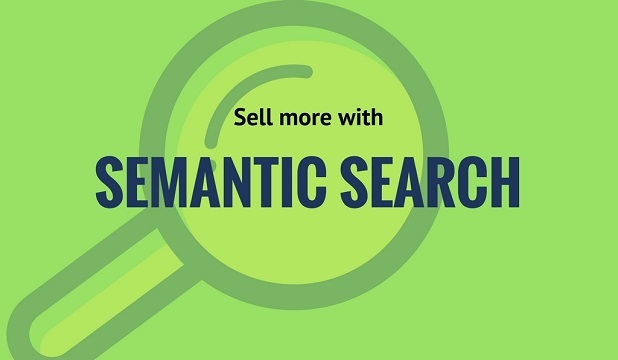 Semantic technology learns about the search terms by monitoring customer habits, like – what the customers usually buy or view after searching using a particular set of words or phrase. Implement advanced filtering options – A semantic search engine can usually identify names and qualifiers within a group of words. You can take advantage of this capability by providing advanced product filtering option to your customers. For example, when a customer searches for red, the product filter should show the product categories that has red colored items. Alternatively, a search for shirt should bring out filters such as men vs women, color, brand etc. Show relevant product by using NLP – Natural Language Processing techniques help your search engine to understand search phrases better. 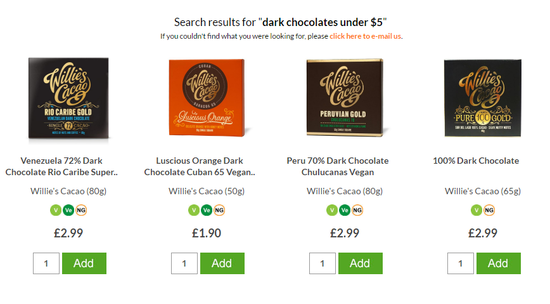 For example, if a customer types dark chocolates under $5, the search engine should be able to understand that the result page should only show a specific type of chocolates under a specific price range. Show top selling product images related to a search term – Configure your search bar to show bestselling product images related to a search. While it can also be done manually, modern semantic search services will automatically keep and update records of bestselling products and their relation to certain keywords. When customers see bestselling product images in the search box, some of them are likely to buy from those products right away. Outperform your competitors by implementing voice-based search – One of the most powerful features of a semantic search engine is its ability to interpret human voice. Mobile users are increasingly becoming dependent on mobile-based voice search. If your potential customers try to use their voice to search products, your site will easily be able to provide them with accurate results. It’s a great way to stand out from your competitors. 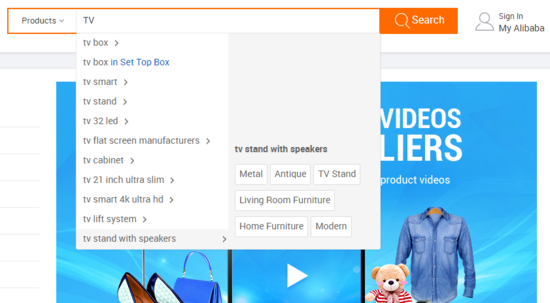 Semantic search powered by AI can literally change how people searches and finds products in eCommerce sites. There’s no doubt that it will help you convert your potential customers in new ways. You can also analyze your customer search habits to find about their preferences and eventually present them with a more personal and helpful on-site search experience. Author Bio: Liakat Hossain is a content marketing professional at WebAlive Ecommerce Design Company. He has been helping businesses grow by developing search and content marketing strategies since 2011. Connect with him via Twitter.